Twenty miles off Cape Lookout, Back & Core sounds, and Beaufort & Ocracoke. 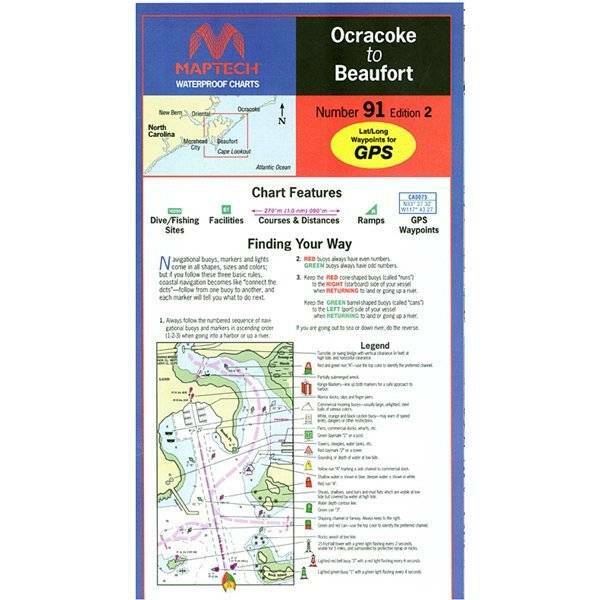 Contains pre-plotted GPS waypoints and courses, marine facilities, boat ramps, wrecks and artificial reefs, and gamefish. Approximate scales 1: 107,000 and 1:40,000 with insets.